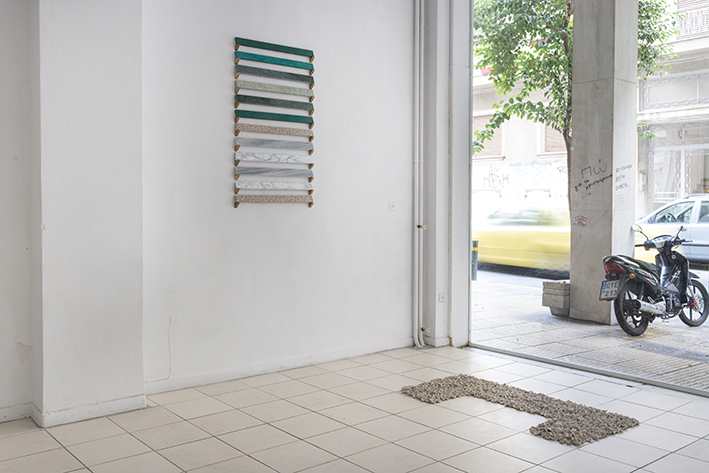 This body of work was made during a two-month residency in the city of Athens, Greece, (November-December 2016) and shown alongside fellow artists in residence Jonas Fischer and Katherine MacBride in an exhibition called 'On Uneven Ground'. I was living on the once glamorous street ‘Fokionos Negri’ in the central district of Kypseli. This neighborhood grew from the 1930’s onwards, architecturally influenced by the Bauhaus, Modernist and Art Deco movements. By the 1980’s, the area started to go into decline as the middle and upper class residents abandoned central Athens for the suburbs. Kypseli now has a feeling of faded grandeur. I was curious to explore its architectural layers, historic and present.